Major public events are prime times for real-time marketing because they attract large audiences and lots of social activity. 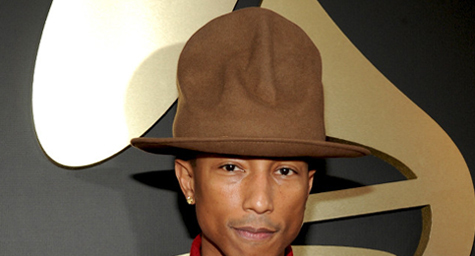 And at last night’s Grammys, Arby’s was ready for real-time at the drop of a hat when the fast food chain took to Twitter to comment on recording artist Pharrell’s headpiece, which looked strikingly similar to Arby’s big brown hat logo. Mashable.com covered the timely tweet. As Pharrell posed for photos in his fashion-forward hat, Arby’s playfully asked Pharrell for its hat back in a well-timed tweet. The topic was already trending on Twitter, so Arby’s dove headfirst into this real-time marketing opportunity and became top-of-mind on the social media scene. Pharrell’s headpiece made many people scratch their heads and some of them also turned to Twitter to speculate on what the artist may be hiding under his hat. But out of all the teasing tweets, Arby’s wound up on top by staying on top of the social media moment. Discover real-life strategies for real-time marketing. Contact MDG Advertising today at 561-338-7797 or visit mdgadvertising.com.